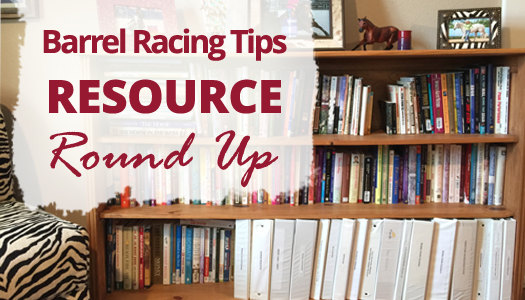 The purpose of this post is simple – to serve as collection of ALL the printable, downloadable PDF guides and worksheets I’ve ever created as companions to the many posts here at BarrelRacingTips.com. 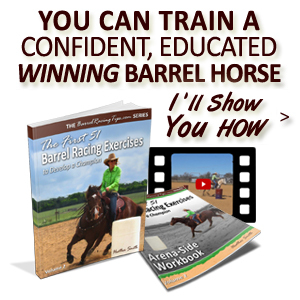 They’ve been compiled to give you quick and easy access to resources that will spark your own resourcefulness as a trainer, and build a fire in your barrel horse while you’re at it. So open, download, save and print these gems for your reference library and visit the original posts (in BOLD) for more details. 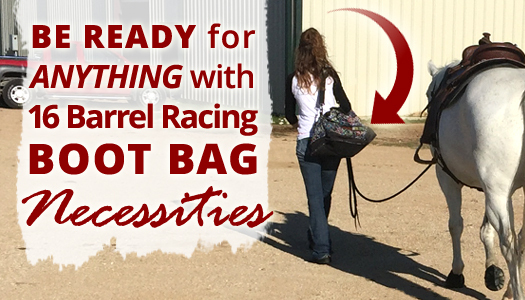 For a barrel racer, it’s a sickening feeling to suddenly realize you need a specific product or tool just minutes before competing, only to realize you left it at the trailer. No one wants to experience panic, anxiety or concern in those critical pre-run moments. 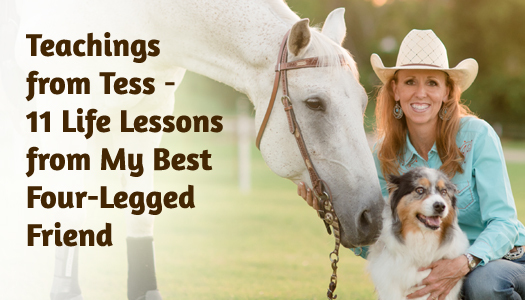 When I made the second run back on my gelding Pistol several weeks ago, after a FIVE year break from competing (and SEVEN months of re-conditioning) due to an injury, the overwhelming feelings I experienced were ones I won’t soon forget. 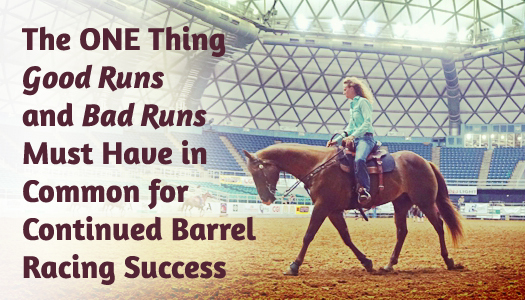 While it wasn’t exactly an arena record, the run felt solid and we clocked at the top of the 3D against more than a couple hundred of the best barrel racers in Texas – not too shabby I figured, considering I wasn’t sure he’d return to running barrels AT ALL! I was pretty excited, and as Pistol and caught our breath, I turned and locked eyes with my hubby (and videographer) who was walking toward us with the same excited and grateful smirk on his face. When I first got my Australian Shepherd Tess in 2002, I spent a ton of time teaching her things. I read books about clicker training, we went to obedience class and she even passed special testing to become a Certified Therapy Dog. We did agility together, worked stock, and a good friend of mine (an expert dog handler) even showed Tess – bringing home many ribbons and prizes. It seemed to take Tess FOREVER to learn to balance on her hind legs for “trick dog” (sitting up) but learning “stay” (with a hand signal) was sooooo easy – I swear she could read my mind. Perhaps my favorite and her most unique trick, was to retrieve a Kleenex from a box when I sneezed – it was always a hit! You might also remember this special Holiday video from a few years back showing Tess doin’ a little groundwork with my gelding Pistol. On Christmas morning she eagerly sat by Craig and I around the tree as usual, politely but anxiously waiting her turn to open presents. When given the OK, she always tore the wrapping paper off herself! But it’s critical that we don’t adopt a clock as clock can attitude, either. This is because HOW we get across the timer line matters. It matters most, to our horses. After growing up dabbling in 4-H, I learned that a “good rider” was one who kept their toes in, heels down, seat glued to the saddle, and had straight shoulder/hip/heel alignment. However, learning to hold a particular posture in the saddle so we LOOK like a good rider is no substitute for actually becoming one. 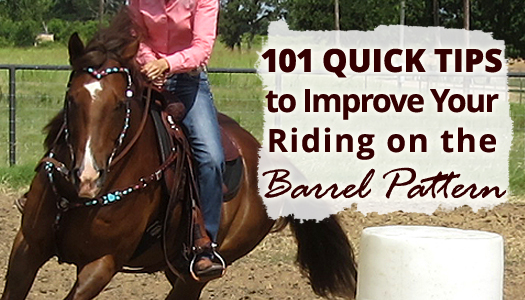 In fact, if we don’t intentionally learn to “go with the flow” and ride with fluidity (even at speed), no amount of equitation lessons will help us if we don’t also have THE FEEL. The LOOK alone will never be enough in a sport that requires so much quickness, balance, timing and athleticism from horse and human alike. 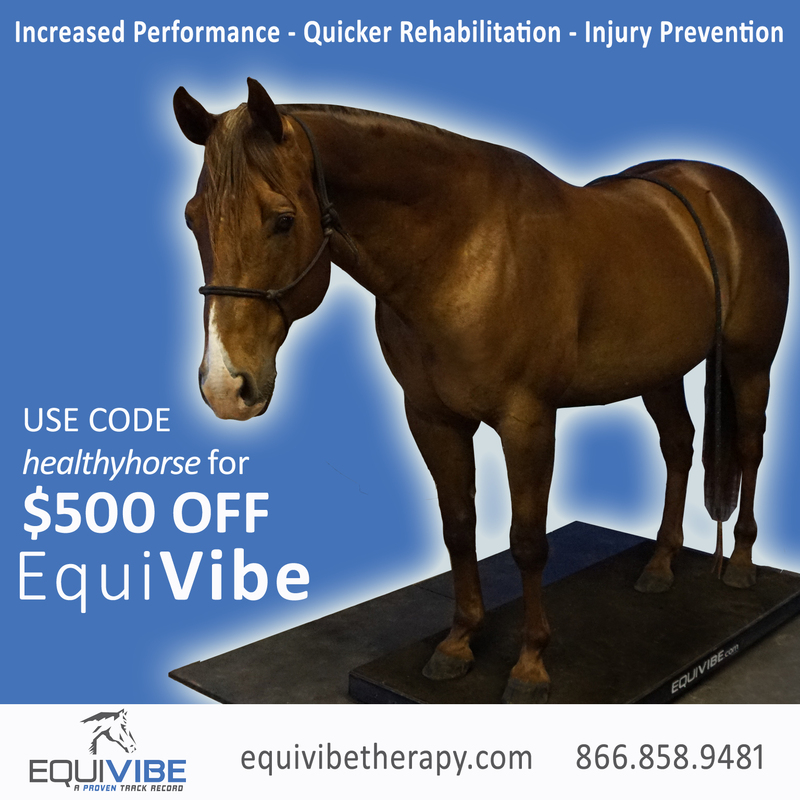 Outside of appearances, a lot of us aren’t guiding our horses as effectively as we could – not necessarily because we haven’t yet followed through with that fitness program, or because we’re not athletic enough (although these are contributing factors), but because we’re just ever so slightly out of position. It’s true that my family didn’t seem to have enough funds to meet even our most basic needs at times when I was growing up. It was the way of thinking I inherited as a youngster (and later changed) that was drastically inaccurate. I DID go to college and get a degree in Veterinary Technology, albeit on my own dime. Whether I continued to assume that my life was doomed – OR that I could or couldn’t influence my future, was up to me. 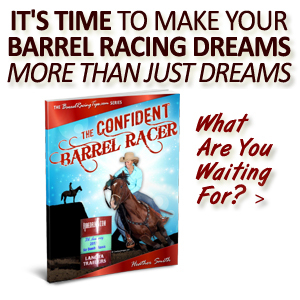 Today there are a lot of adults still not living their barrel racing dreams because they have no hope – believing that being a professional barrel racer is only for people with “a lot of money.” Today, let’s blow that false belief outta the water too, shall we? 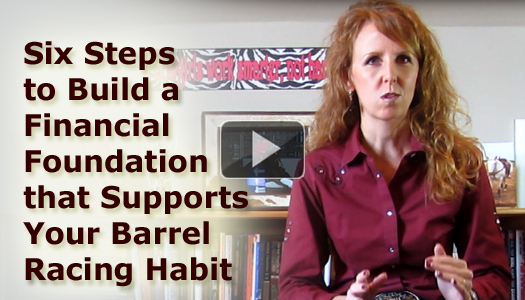 As I was getting warmed up to post this week’s video, I was glad to come across some timeless barrel racing wisdom from Ed Wright. Recently I witnessed and was especially impressed by one of his students as she won the All American Finals in Waco, TX, and again it confirmed that while competition continues to get tougher as breeding programs, tools and techniques are always evolving – certain principles never change. One such principle is that bits are secondary to education. 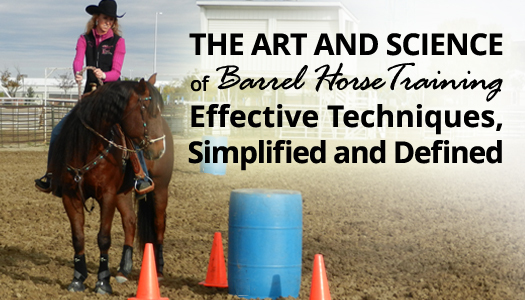 And yet, while education is a critical priority – just because we’ve instilled knowledge in our horse’s mind doesn’t necessarily mean there still aren’t blocks in the way physically and emotionally. 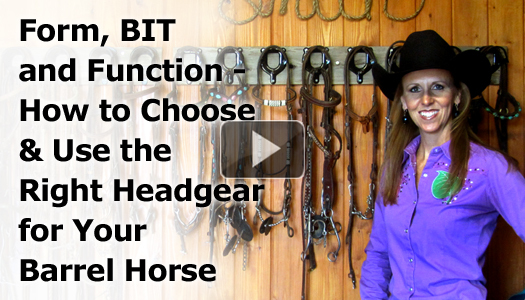 Even if we can influence and yield our horse’s body parts relatively quick and effectively doesn’t mean they feel good about it, that they want to do it, and that they aren’t dealing with physical restrictions that make it difficult for them. 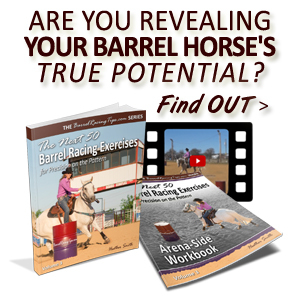 Would you like to be a better barrel horse trainer? Would you believe many of the same techniques used with horses are also used with dogs, and most other animals? 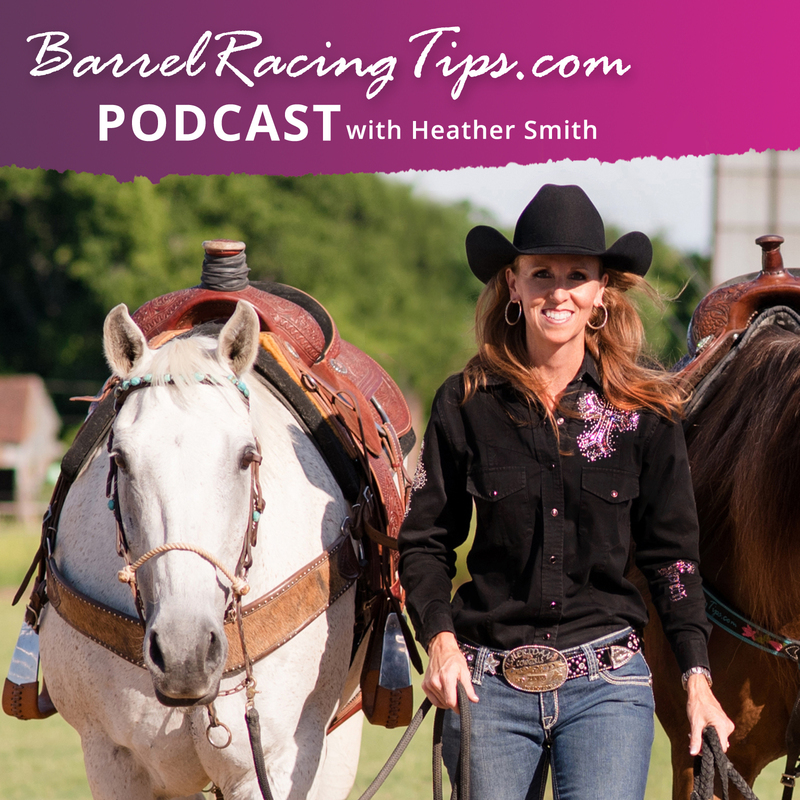 Of course a few differences and exceptions apply based on the species and individuals we’re working with, but barrel horse training doesn’t have to be the confusing, frustrating grey area we often make it out to be. 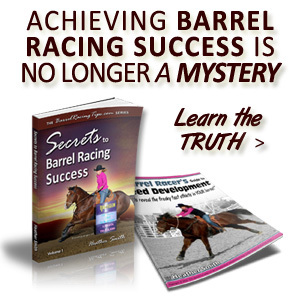 Even if you’ve been successful with the methods you apply, a firmer understanding of the techniques you’re using, and even what techniques you’re not – creates opportunity for more clarity and confidence as you develop your horses. Truthfully, these basics don’t vary too much based on style, preference or what clinician you follow. What I’ve shared below are the tried and true methods we all use, whether we know it or not – and they’re the exact same methods we can all apply a little differently for even better results! It’s not so much what we do, but how and when. We’ll be better prepared for the how and when, when we better understand the what! Today I’ve shared all of the above.